So, as many of you know the majority of our camps closed last week (cue the cries) and a lot of you still have children on their summer holidays. We thought we would give you a few games and activities that will hopefully entertain them whilst they are still off from school! These activities are played by the children at camp (and sometimes even the adults), they are a great way to get creative and stay amused over an afternoon. Also, you needn’t run down to the shops to get all things you’ll need as you will probably be able to find it all around the house! These games have been new to camp this season and have proven to be a great hit with the children and staff! The ‘Minute To Win It’ games consist of 11 different rounds which really get your competitive side going! These games are meant to be played in groups, and the group who wins the most rounds wins the overall game! An example of one of these rounds is known as ‘Cookie Monster’. The chosen player to play this round must move a cookie down their face by only using their face muscles. They must move it from their forehead to their mouth, if it reaches, they win and can eat the cookie! (Full instructions click here). Not only are these games great for keeping your kiddies entertained, but they make brilliant ice breakers, team building exercises and party games! 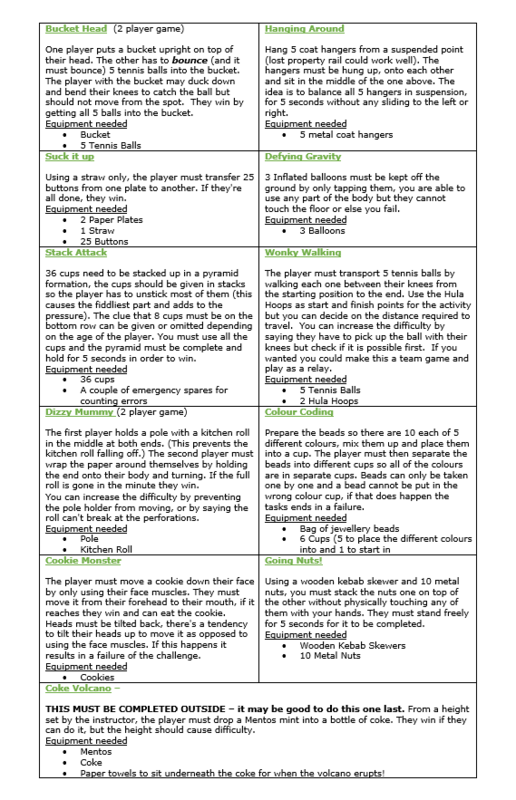 A typical full game of Minute To Win It will usually last for around half an hour but you can adapt it to a just a short round, or even extend it so you can enjoy the fun for a bit longer! Check out this video of our blue shirts having some fun with the games on camp! This next one is not only fun but a little bit educational as well (getting some brownie points in there)! And it’s as simple as adding some water to a few drops of baking soda and watching it fizz over! 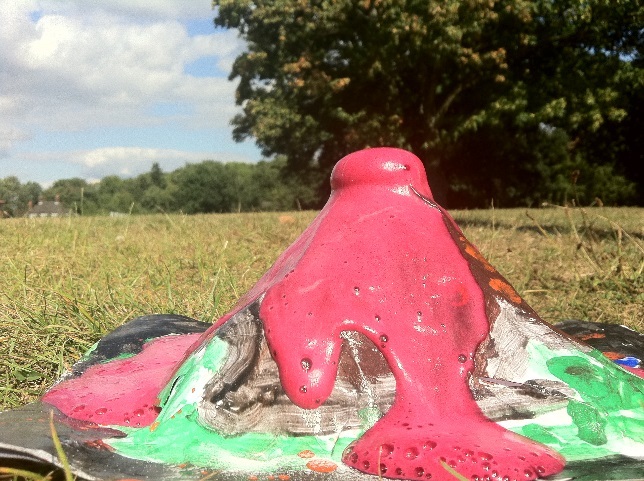 You will need to make a volcano which can be done by making a clay with flour, water and cooking oil and moulding it around a water bottle. If you really want to enhance the exploding lava illusion, add a few drops of food colouring and watch your little ones face light up! 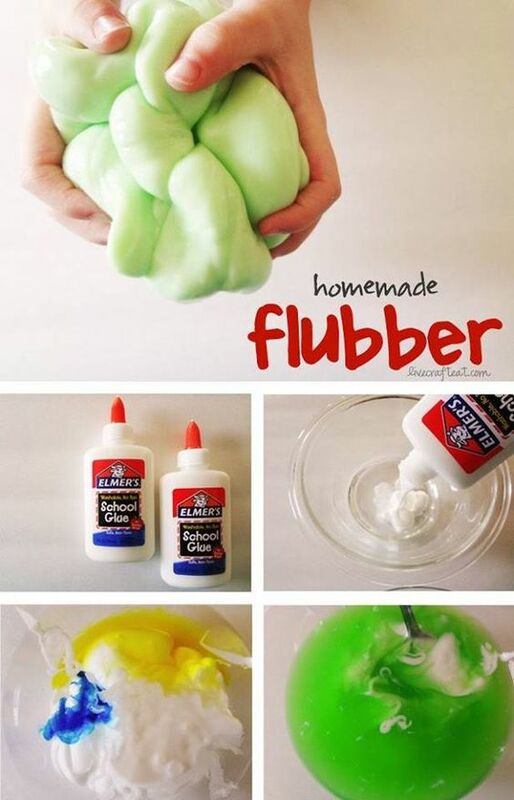 This one is to get your creative and even your imaginative side going! Although this is as straight forward as going into the garden, collecting some sticks and foliage and making a crown; you can easily turn it into a magical quest to find the missing pieces of the King’s crown! Making green crowns might not be that exciting, but throw in the thought of a crown treasure hunt and you’ve got an afternoon game sorted! 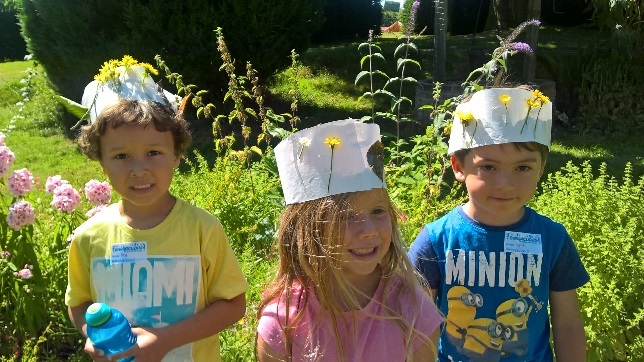 If forming a crown out of twigs proves to be a bit too tricky, you can always cut a strip of card long enough to fit round your child head and stick various pieces of wildlife on it such as petals, grass or leaves. Then just stick the two end together so it forms a crown shape. 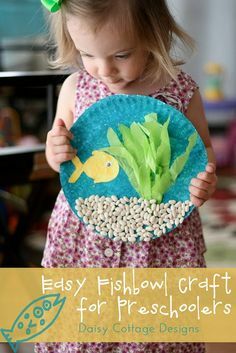 Click on the pictures for more ideas from Pinterest!